I recently gave a number of talks across New Orleans, and had the good fortune that my pal Nathan Tucker recorded them. Thus I am able to offer them for sale now for all those who couldn't make the live show. The first is an in-depth history of early modern British necromancy, which you can purchase here. The early modern age of 1500-1700 was a period of European colonial expansion into the so-called ‘New World’, civil wars, famine, and plague: life could indeed be ‘nasty, brutish, and short’. Amidst such fragile mortality, people prayed for their deceased, petitioned elevated Christian martyrs, witnessed ghosts, and whispered of black magic in midnight graveyards. This talk investigates the roles and powers of the dead in Western occult philosophy and magical practices: from magical funerary customs to corpses as spell components, and from the exorcism and summoning of ghosts and spirits to early sensationalist reports of the customs of various indigenous peoples of the Americas. Finally, this talk investigates the diabolical associations of necromancy and “nigromancy” with witchcraft and demonology, offering analysis of a number of pre-modern rituals and techniques involving shades of the dead. Colonialism and "Native Black Magic"
This talk is about an hour and forty minutes long, fully illustrated with slides, images, and selected quotations. When you buy the talk you will also receive a full bibliography of sources to continue exploring and investigating. 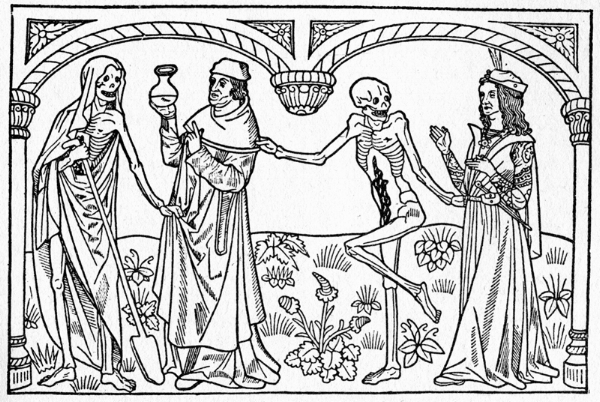 Moreover, you will receive free links to thirteen full pdf scans of many works from the sixteenth and seventeenth centuries relevant to this discussion of necromancy, providing you access to the very primary source texts which the talk introduces and takes us through. This History of Early Modern Necromancy talk-bundle - containing recording, reading notes, bibliography and free primary sources - is $50 and can be purchased here.